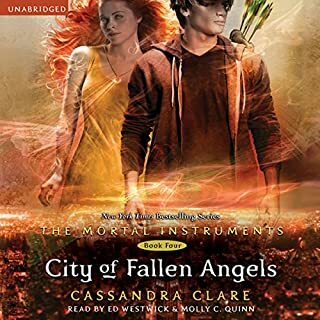 Her imminent choice to either join the dark but seductive world of immortals or pursue a fully human life has become the thread from which the fate of two tribes hangs. 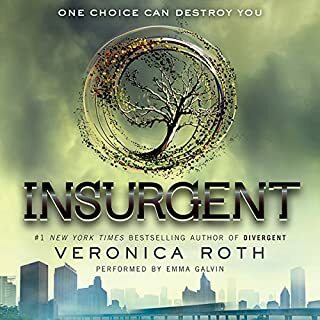 Now Bella has made her decision, and a startling chain of unprecedented events is about to unfold with potentially devastating and unfathomable consequences. 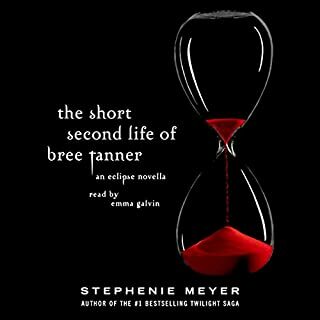 Just when the frayed strands of Bella's life - first discovered in Twilight, then scattered and torn in New Moon and Eclipse - seem ready to heal and knit together, could they be destroyed...forever? 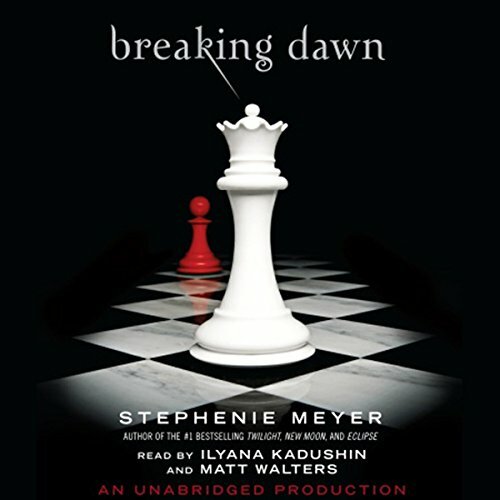 The astonishing, breathlessly anticipated conclusion to the Twilight Saga, Breaking Dawn illuminates the secrets and mysteries of this spellbinding romantic epic. i dowloaded the book series 1-4 for my 14 tr. old granddaughter, so i listened to them to make sure they were OK. i am 58 and the grandpa. the first one was a bit slow for me but i could see the interest points for the kids. the 2nd gained a bit of momentum. the 3rd and 4th hit homeruns! i really enjoyed the whole series! I was so hooked on Edward I bought and read the book before it showed up on Audible. I was not dissapointed. I read it cover to cover over night, cried and was thrilled with the outcome. Now I'm downloading the story to listen all over agian. Only hoping that this isn't really the end and perhaps there could be one more story to be told. If you loved the series, you will crave this too. 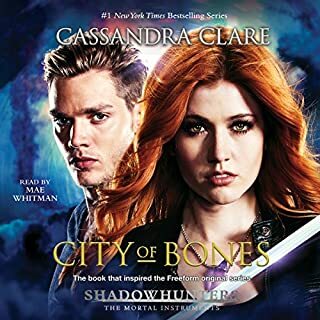 I hesitated buying a book about "vampires" but the reviews were just too good to pass up and I'm so very happy I purchased this series. I started with Twilight, then New Moon, then Eclipse and finally Breaking Dawn. I loved them all. 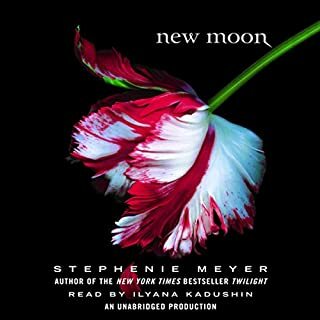 I liked New Moon the least and liked Twilight and Breaking Dawn the most. I turned my wife on tho this series also and she too was in doubt. She read the first two books in about 14 days and is now reading Eclipse. I had to get use to the reader's voice but now I really like it. Anyway, without a doubt this book / series is the best I've read and is even better than Pillars of the Earth. I'm a big John Grisham fan and have listened to/read all of his books. Stephenie, I loved this series better than ANY of those also. Great job and I'd really like to see the characters live again. I STARTED LISTING TO THE SERIES AFTER THE THIRS MOVE CAME OUT BECAUSE I COULDNT WAIT TO SEE WHAT HAPPENS. I THOUGHT THIS BOOK WAS AMAZING. THE BEST OUT OF THE SERIES. Not just for teenaged girls. I read this and the complete series to make sure it was ok for my granddaughter. I was hooked from the start. Loved the series and each book just gets better. Now that I have finished the series, it is a little difficult to separate out the book into separate entities. They all flowed very easily as there was no time lapse between any of the books. The fourth was quite long and had quite a deal of suspense in my opinion. 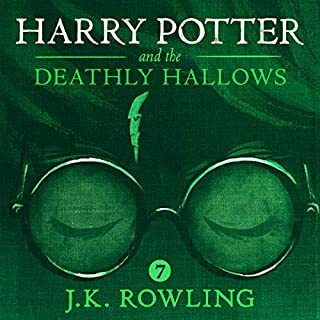 I am pretty sure that I did not enjoy the fourth book as much as the previous three but I was equally compelled to finish it. I heard someone argue recently that they thought the series could have ended after the third book. 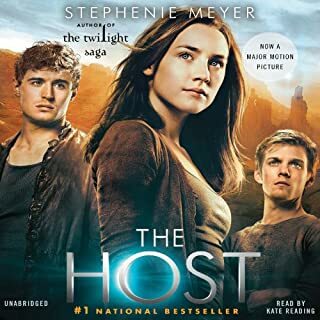 I am not sure that I would go as far as that because I did enjoy very much the characters in the fourth book and appreciated the development of Bella's character, which many people felt was overdue. Is this book literature--No, most definitely. Is is wonderfully written, lyrical prose--ah, no, not really. Is it fun? Absolutely. 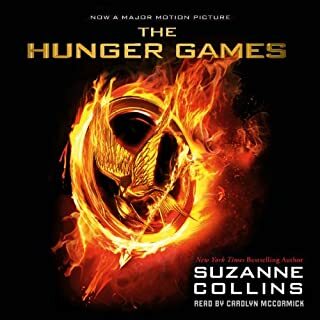 Reading, unless you are still a college student, is for entertainment, and this book, as the others in the series, is fun, and entertaining. 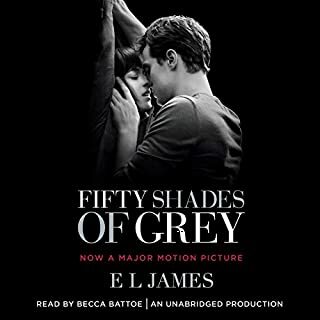 The love story is great, and more mature in this book than the others. If you want to read something for fun, this series fills the bill. I do have to say I wish the author would invest in a Thesaurus. She does tend to overuse phrases and certain words. I would say almost once per page someone "rolled his/her eyes." It got tiresome, but overall I really enjoyed this book. We can nitpick her writing all we want, but she can grin all the way to the bank. Getting a mainstream novel published is not easy and the scrutiny of details by editors is over the top and very wearing on an author. Just read and have fun. I was so excited to find out what happened to Bella and Edward that I had to buy the book. 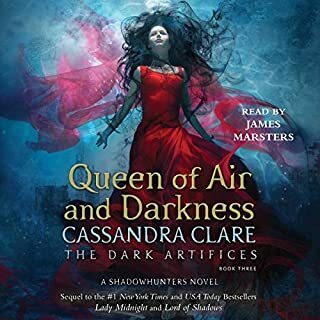 I cant wait to hear Ilyana Kadushin read the book. 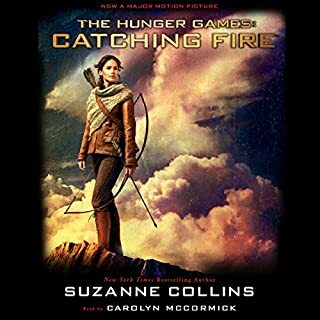 She did such a great job on the first three books that while I was reading book 4 I heard her voice for Bella. 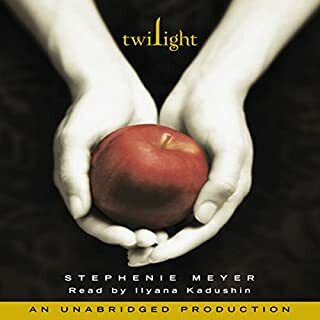 I am so glad that Audible finally was able to get the 4th book of the twilight series and I have to say that the book lives up to its reputation...I read the book in 8 hours and I couldn't put it down!! 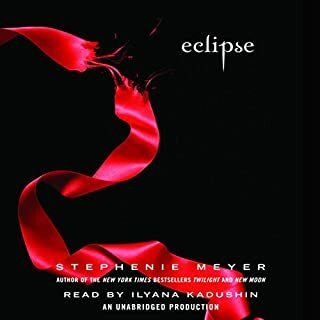 Great book, thank you Stephenie Meyer for giving me a thrilling ride through your characters. You have a gift for inventing realistic characters and its great to see a fellow Phoenician doing such great things! I loved this series of books. If you could sum up Breaking Dawn in three words, what would they be? Have you listened to any of Ilyana Kadushin and Matt Walters ’s other performances before? How does this one compare? Didn't start the series unitl the summer of 2012 because I am not a lover of monster stories. Vampires...who knew. 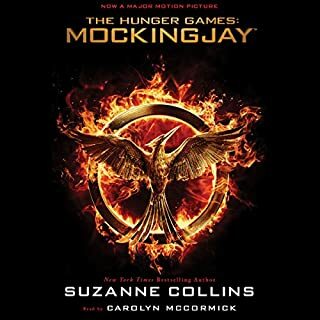 I read the books first and could not put it down after the first couple of pages. 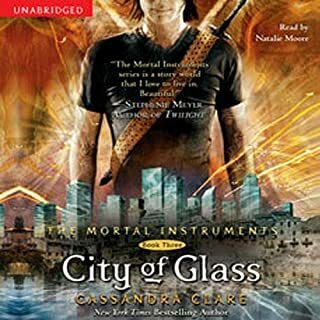 I got the audio books because I wanted to read it again. I loved it. 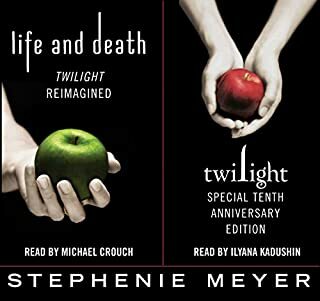 Having read all the Twilight series in book form, I just had to listen to them as well. I find the experiences uniquely different in that both add to the story if done RIGHT. This is the key in audio books. The wrong material may be saved by a great narrator. A bad narrator rarely raises the material to listening level. 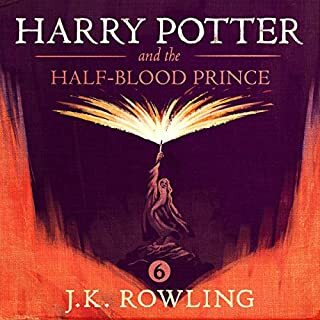 Yet, in the Twilight audio series both are present.